The 25th anniversary of Trivial Pursuit took place on January 12, 2013. 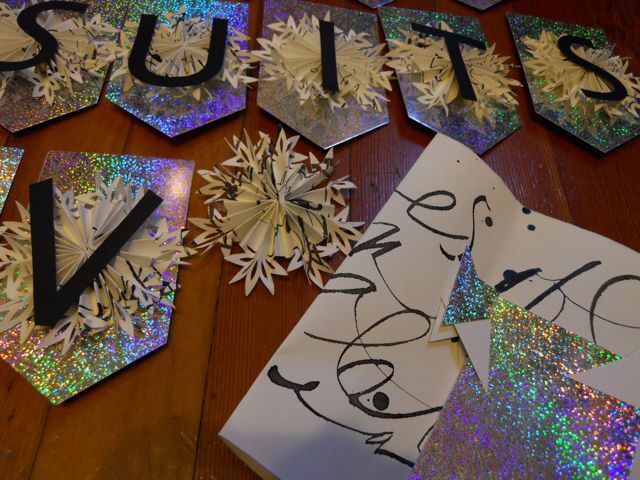 The event is for the Friends of Calligraphy...members gift to members. I was the coordinator again this year and made a silver banner to mark the occasion. 49 people of which there were 40 students, 6 teachers, and 3 volunteers. 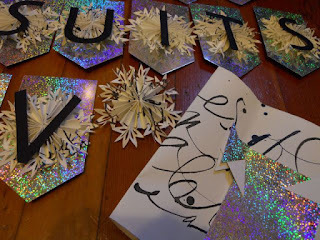 Close up of the banner pieces before hanging, cut up practice calligraphy paper, glitter card stock and black cut out letters. 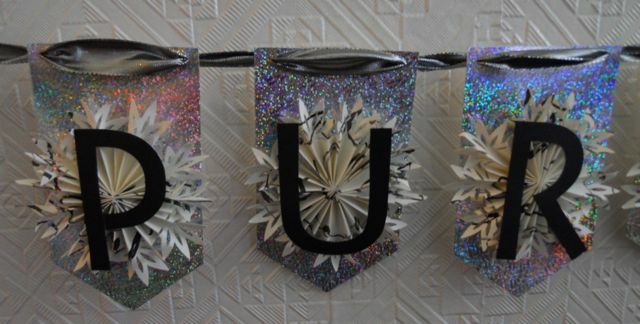 P, U and R on metallic ribbon to connect letters. Full 8 foot length that is to be hung in the hall where we had our event. This was taken in my home.